A Cantaloupe needlepoint design by Jean Smith who specializes in watercolor floral and fruit needlepoint. This handpainted canvas makes a lovely small needlepoint project for a kitchen. The design area measures 8" x 8" and is on 13 mesh. If you require stretcher bars we recommend two pair of 12" and some thumb tacks (see Recommended Products below). 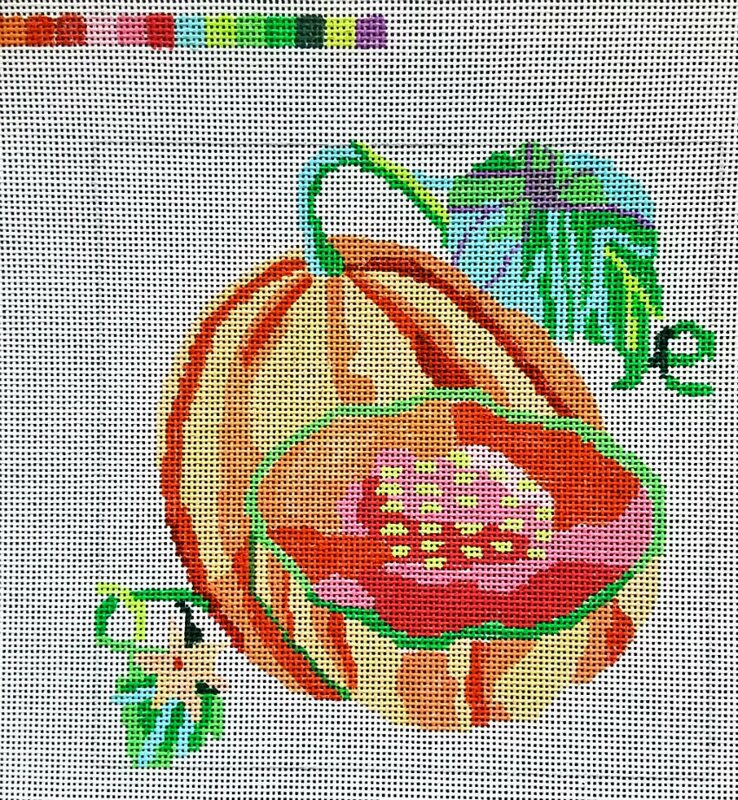 This Cantaloupe needlepoint design is sold canvas-only or with fibers. Use the drop-down menu to select your choice. If you select cotton we will send DMC embroidery floss; if you select wool or silk we send Planet Earth fibers. 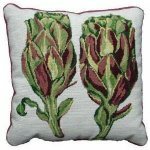 This Jean Smith watercolor needlepoint canvas usually ships within 1 week. If you need it in a hurry please let us know.